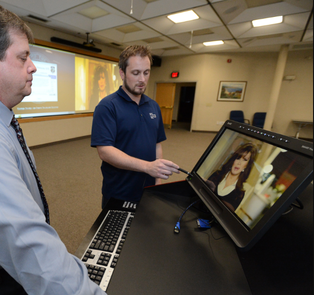 What is Involved in Commercial Audio Visual Integration? 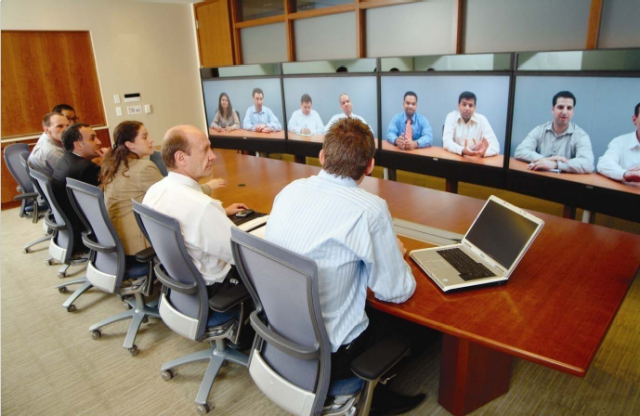 The AV integration industry is relevant in any sector or market where people communicate and share information. When you mention AV the first thing that pops into people's mind is usually a home theater or maybe a surround sound system and yeah, we do that, but that's just a very small part of what goes on in the AV integration industry. Picture walking into a high end conference room, picking up a restaurant, touch panel and seeing a list of options. Maybe you want to press the video conference option. Maybe you want to press the video presentation option or maybe just wants to do an audio conference. All these different options are programmed into our system, so when you press one of these buttons on the touch panel, many different things go on in the background automatically that the end user does not have to think about. They just get functionality at the snap of their fingers. So if I want to start a presentation, push the presentation button and the shades automatically go down to block solar glare. The lights dim a to maximize the clarity of the presentation. 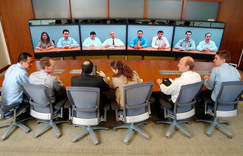 That display turns on, it switches to the right input automatically and you have your volume control and all kinds of other controls at your disposal so that you don't have to think about audio, video, technology, but rather focus on the presentation that you are delivering in the boardroom for the board of directors or for whoever you're talking to around the world. 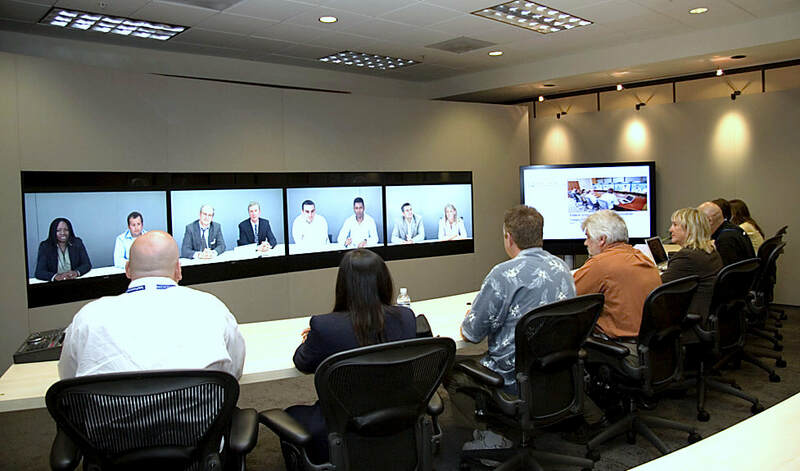 That's the great thing about the AV Integration and video conferencing is you can have end points in say Boston, and you could have an endpoint in California or in Texas or New York and you can have multiple end points and view and your presentation live around the world in High Definition. People think of Skype when you think of video chat and stuff like that, but Skype is only a certain resolution picture, Blu Ray, quality video chat if you've never experienced it. It's really something else. So give us a call for a free consultation today! Pacific Northwest Audio Visual is the over reaching branch that gave birth to Redmond Home Theater, however, much of out experience and expertise is in commercial AV installation. Conference rooms, corporate entertainment centers and events, small office intercom systems, smart office automation and general AV upgrades for your business. We are happy to talk with you about how your office space audio visual system can be seamlessly automated and integrated with the latest technology to streamline productivity and give a sure fire added flare to your environment. Today it is so important to be able to communicate through audio and visual technology with clients all over the world and the last thing you need is having trouble connecting, hearing, seeing and communicating with important clients on the opposite side of the globe. We are happy to discuss your needs with you about your project. We strive to give you the most reliable, professional and friendly service we can. We will do everything we can to make sure your project is done to your satisfaction. We provide references for electricians and carpenters if more extensive work is needed to complete your build out. Just ask us anything and we will find a solution.